It’s a sad fact of South African life that we don’t often applaud what Basic Education Minister, Angie Motshekga, says. However, speaking ahead of next month’s International Mathematics Olympiad, Motshekga said that the success of some rural schools over better funded urban schools ‘showed that leadership and management were more important in producing education results than money’ (The Witness, 25/06/2014). It is true. Shortage of money is not our biggest problem in South Africa today. And the most critical of our scarce skills are not engineering or science, but leadership and management. The money we do have for critical projects (in government and business) is often squandered because of an inability to harness the necessary resources to spend it well. And delivery failure is, more often than not, a management problem. Unfortunately, there are too many people who equate management with its rewards – a car, high salary and allowances – instead of its responsibilities. And this trend is found everywhere in business, government and communities, regardless of age, gender, race or position. We saw something similar in the debilitating platinum strike: everyone contesting for position, whether monetary or a position in union, business or government. We are so busy fighting for our rights that no one asks how we can work together to find lasting solutions. Independent labour analyst Albert de Beer says ‘Nowadays, employers and unions storm in there and don’t think things through. They just start with their proposals and counter-proposals’ (Mail & Guardian, 23/06/2014). My own experience of wage negotiations is typical: unions set out ‘ridiculous demands’ based on their own view of inflation, and employers respond with ‘absurd offers’ while whinging about increased costs and falling profits. The positions are worlds apart but eventually, after much bluster and grandstanding, a compromise is reached and both sides ride off into the sunset proclaiming victory. But it is not negotiation, and we haven’t solved any problems. We can’t blame union bosses, mining houses or ‘the youth of today’. Most of us approach our work and our relationships in the same way. We point fingers and lay blame rather than look for solutions. We demand our perceived rights rather than take our responsibilities seriously. We fight for our position (R12,500) instead of stating our interest (what we are trying to achieve) and asking for help to achieve it? When the world was young with plenty of room to spare, cooperation seemed unimportant. If you didn’t get on, you moved on – thus the Mfecane and the Great Trek. Today, resources are at a premium and cooperation is vital. It is critical that we teach our children a better way of finding solutions. Might is neither right nor fruitful. 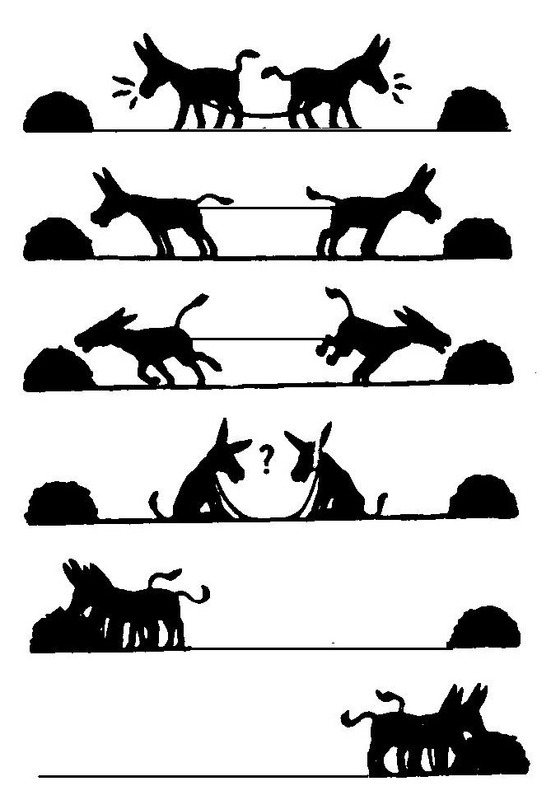 Success depends on working with others, even our enemies, to find lasting solutions. However difficult it is, we need to demonstrate problem-solving approaches to our children. That is why leadership and management in school and business are so important. That is why corporal punishment and initiation have to go. Apart from the morality, it’s counterproductive – we are teaching children to perpetuate old ways that do not work anymore (if they ever did). Are we interested in meaningful cooperative relationships? What can you do at work, school and home to help nurture them? Join the conversation below. ← Simply Communicate? What can they do?